Only a few lines of code required is to implement a payment system, thanks to inline Pin Payments integration. Accepting online payments has never been so easy and effortless, thanks to the introduction of Pin Payments integration. From the guys who developed http://stripe.com, integrating a ‘Pay Now’ button into an existing site is seamless and easy. A user simple makes credit card payments to you without ever leaving your site. Major structure changes to an existing site isn’t required for Pin Payments integration. Small businesses that sell one or a few items who do not need great web presence will benefit from this greatly from a feature known as inline form payments. It makes a lot of sense in many cases for a developer to simply place a ‘Pay Now’ button on a website page to build a simplified payment system. This results in greater acceptability in payments and is a low cost to the owner. When a payment is made, the site owner will simply receive email notification that a transaction was made and can process an order using their existing workflow. 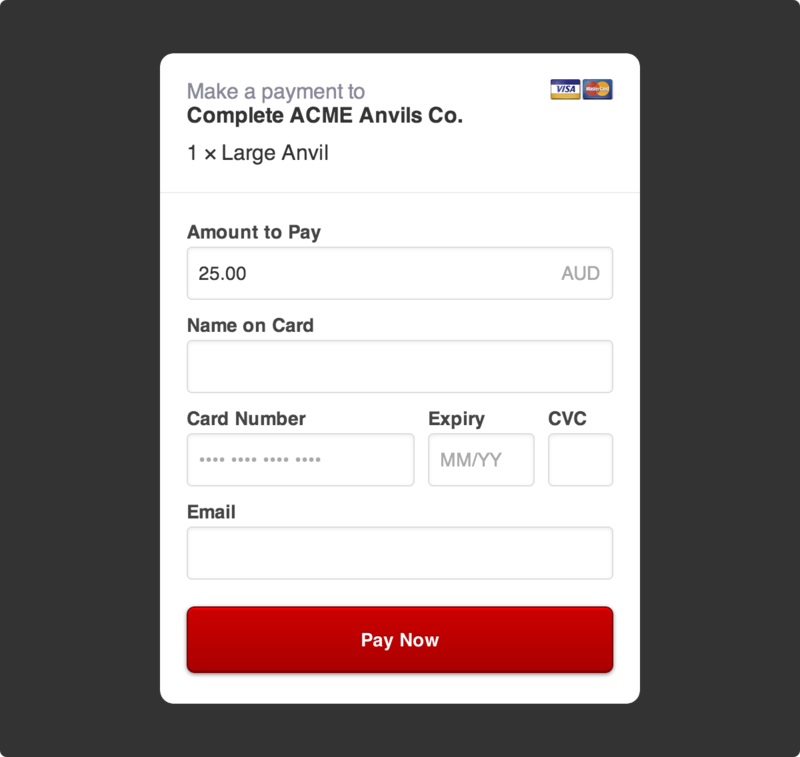 Pin Payments allows you to display a payment form on your site. Users will never have to leave your site.